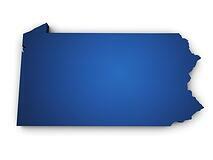 The new Pennsylvania Association Transactions Act (Act 172 of 2014) will become effective on July 1 of this year. The Act, based on the Model Entity Transactions Act, revises and adds provisions to modernize the PA law for both corporations and unincorporated associations. A primary component of this new law is to allow a variety of transactions between different entity types. This is in line with the purposes of the Model Entity Transactions Act, drafted by the Uniform Law Commissioners in 2004 (last amended in 2013). A key goal of that act was to create a “comprehensive statutory framework for changing entity form, whether for merger of entities, conversion of one entity to another, exchanging interests to merge businesses without merging entities (called an interest exchange) or for changing the location of an entity (called a domestication).” The new Pennsylvania act grants the flexibility of these transactions for both registered entities, such as corporations or LLCs, and unincorporated associations. It also changes the way foreign entities are handled, treating all different types of entities as “foreign associations,” rather than differentiating between different entity types. An association is defined as, “a corporation for profit or not-for-profit, a partnership, a limited liability company, a business or statutory trust, an entity or two or more persons associated in a common enterprise or undertaking.” While there are certain exceptions to this broad definition such as a testamentary trust, the law applies not only to registered limited liability entities but to a wide variety of unincorporated associations as well. An entity includes business corporations, nonprofit corporations, general partnerships, limited partnerships, limited liability companies, unincorporated nonprofit associations, professional associations, business trusts, common-law business trusts or statutory trusts. There are also a number of other definitions in the act, many of which create commonalities of language between the different enterprise types (such as “governor,” the role similar to a director for a corporation and “interest holder,” the role similar to an LLC member or corporate shareholder). The filings listed below and the revised merger statutes apply to all types of entities with certain exceptions, such as any cooperative corporation or a nonprofit organization supervised by the Department of Banking and Securities, the Insurance Department or the Pennsylvania Public Utility Commission. Conversions: A domestic entity may become a domestic entity of a different type, a banking institution, or a foreign association of a different type and a foreign association may become a domestic entity. Additionally, a domestic banking institution may become a domestic association of a different type. To accomplish a conversion, a plan of conversion is approved by the interest holders of the entity and a statement of conversion is filed with the PA Department of State. Interest Exchange: A domestic or foreign entity or association may acquire all of one or more classes or series of interest of a domestic entity and a domestic entity may do the same for a foreign entity or association, as long as the laws of the foreign jurisdiction allow interest exchanges also. Similar to conversion, a plan of interest exchange is approved and a Statement of Interest Exchange is then filed with the Department of State. Statement of Abandonment: This filing allows a statement of conversion, interest exchange or other document which has been delivered to the Department of State for filing to be withdrawn before it takes effect and may be filed if any of the underlying transactions are abandoned before they become effective. Foreign Registration Statement: The various forms used to register different types of foreign entities will be replaced by this statement, used to register any foreign filing association or limited liability partnership. Series limited liability companies indicate the existence of the series on the registration. Transfer of Registration: When a foreign entity that is registered in Pennsylvania participates in a merger, conversion or domestication and the survivor or converted entity is also required to be authorized to do business in Pennsylvania, the registered entity can file this statement to transfer its registration to the survivor or converted entity. If the resulting entity will not be doing business in Pennsylvania, or is a “non-filing entity” not required to register, then the originally registered entity will be required to withdraw. The Association Transactions Act is 171 pages long, so the information provided here is just the tip of the iceberg. In enacting this new legislation, Pennsylvania joins several other states that have either enacted an Entity Transactions Act similar to the model or adopted revisions clearly influenced by the model act. These new laws help make it easier for entities to take advantage of the entity structure that suits them best as they grow and their needs change.